When it comes to people, getting “fresh” can be a turn-off. But when it comes to your produce? It’s ideal. This past weekend was a festival of fresh, and between the Noe Valley Farmer’s Market and a surprise treat at Whole Foods, I found some extraordinary vegetables that, in their fresh variety, added punch to my ordinary meals. A quick note of warning. Buying fresh versions of your favorite ingredients will generally cost you a few extra dollars and a few extra minutes. But in terms of creating memorable, healthy, and low sodium meals, the big flavors you find in food, that has not been sitting in a can, will be well worth it. Let’s start with the most simple of my shopping triumphs: a bundle of herbs. A handful of diced chive or parsley is my new favorite way to flavor anything, from meat, to salads, to a simply cooked egg. The next time you cook some pasta, treat your taste buds to a little experiment. Decorate one plate of noodles with the dried herbs you keep tucked away in your spice drawer and another with freshly chopped dill, marjoram…well, anything really that you can get your hands on. You’ll find that, although the dried version has a lot of flavor, it is more subdued and less complex than the fresh herbs, which have a burst of brightness and spice. Who needs salt or even pepper when you have diced arugula? 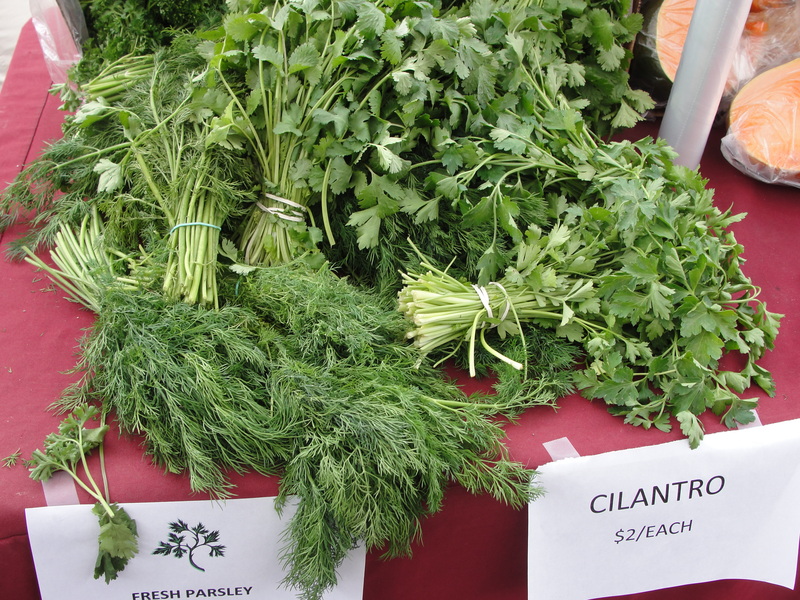 Beyond the exceptional flavor, a confetti of fresh herbs will look quite beautiful to boot. 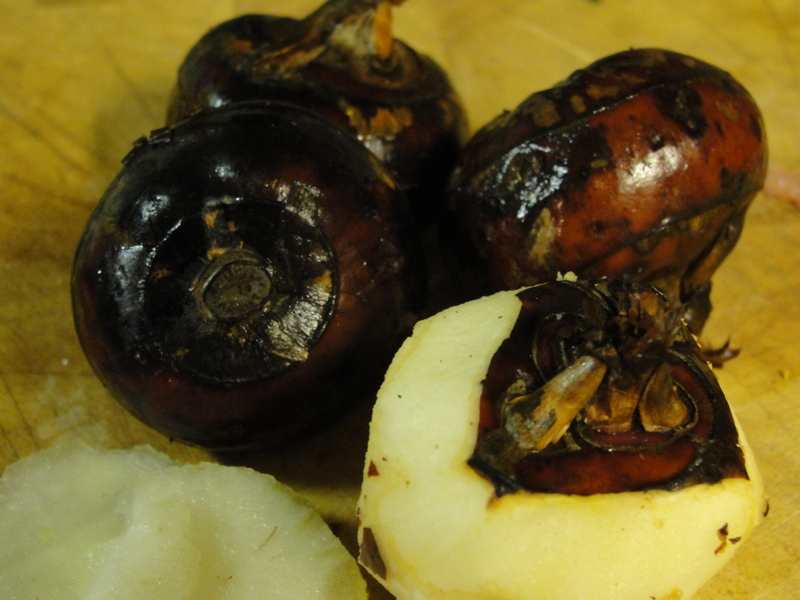 Now onto something a bit more unusual: fresh water chestnuts. You may know these better as the white, crunchy discs you buy in a can (with upwards of 10mg of sodium per serving) that provide crunch to your otherwise wilted stir fry. Well, these babies were sitting pretty in the produce aisle at Whole Foods on Friday night and Boy and I couldn’t resist tasting them in their natural state. Let me tell you, the nutty, milky flavor of a fresh water chestnut is no comparison for the prepackaged version. Who knew? No seriously, who knew and why didn’t they tell me? Well, I guess that is just water (chestnuts) under the bridge for now. In the meantime, if you happen to see these at your local market or grocer, grab a few. After you have peeled off its outer coat, layer the cool crescents against some warm, curried chicken thighs and Ramen noodles for a very special stir fry that requires very little sauce and definitely no soy. And finally, a real treat: chantarelle mushrooms. The magical, meaty fungus can cost upwards of $15 a pound, which sounds absurd, but is well worth it. Usually, I am cheap and lazy when it comes to mushrooms and will often opt for the prepackaged white buttons when fixing a quick ragù or soup, recipes that use mushrooms for texture more than flavor. But on a blue moon or a Farmer’s Market whim, I will empty out my pocket change to get my hands on something really special. 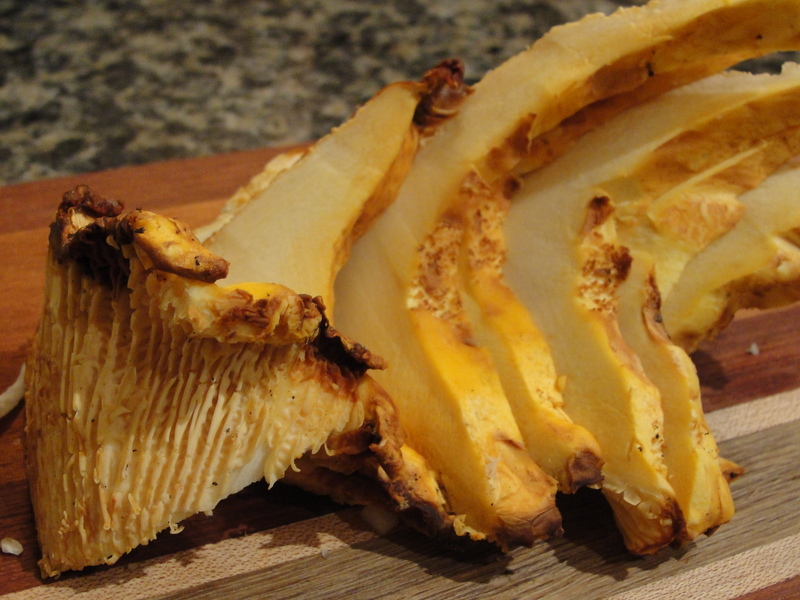 On Saturday morning, I brought home a chantarelle larger than my fist for $3 dollars. What a steal! I sliced my prized possession thinly and pan fried it in some browned butter. I then tossed the slices in with a potato and brussel sprout hash and ended up with a rustic dish that was thick with woodsy, umami flavor. The tastes provided by fresh ingredients will enable you to elevate even the simplest low sodium meal. And since fresh ingredients can cost you a few extra pennies, make the most of your homemade experience and invite over friends to participate. When you are cooking from scratch, it is fun to share your accomplishments with others, and when sharing your food with others, you can always ask your guests to lend a hand. Now that’s not a bad deal. Chow on. Hubba hubba!! 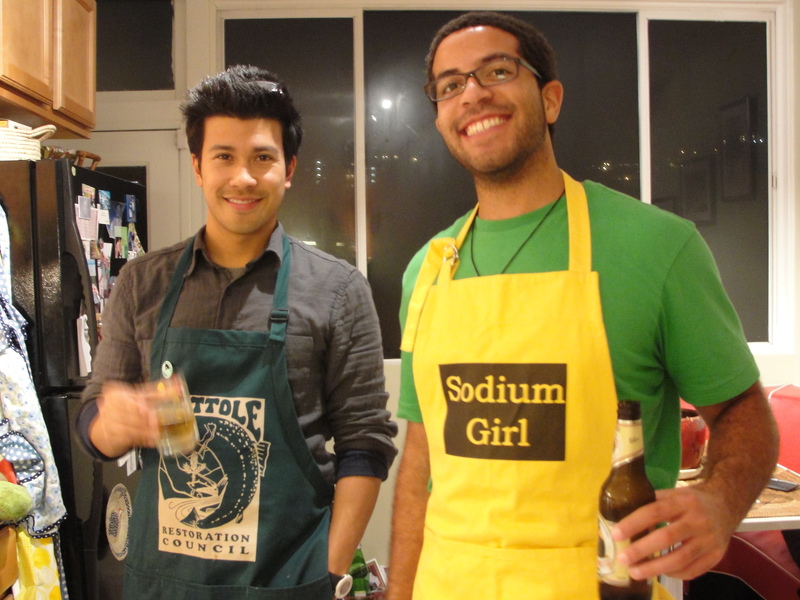 Who are those hunky guys helping you cook there?! And I couldn’t agree more with you about fresh produce. Treating yourself to fresh and healthy food is a great way to practice the best kind of self-care. Kudos to you, Sodium Girl! omg love the sodium girl merchandise, where can i get my hands on that?? ?